Online reputation management is vital for both B2C as well as B2B organizations. Great reviews on review sites and across social media channels will boost your organic search rankings. 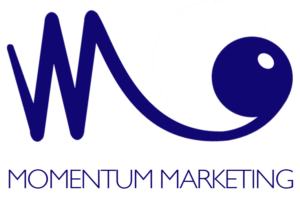 Momentum Marketing is partnering with Reputation.com to help you amplify your best digital “word-of-mouth” reviews. So, in addition to increasing traffic to your website, improving your SEO, optimizing your site and developing your brand and strategies, we can help cultivate a collection of authentic positive comments about your business and move them up to more prominent positions across the web. Check out the informational video below about how the services of Reputation.com will help improve your online presence. See how ORM complements engaging social media, paid and boosted social, retargeting campaigns, a great, responsive website and excellent SEO. Imagine your brand rising above the competition because your positive reviews are finding their way to the top of organic search rankings. Find out how ORM fits into your overall digital strategy by contacting us. Get the best Reputation Management by combining services at Momentum Marketing Consultants with Reputation.com.